Winter is officially here, and in our business we hear stories of unfortunate things that happen right before closing that may have been avoided. The experience walking into closing should be joyful, not stressful, so here are few things you can share with your customers, friends or family and even do yourself to have the smooth closing experience you deserve! 1. Check those batteries! Indoor fires are very common during the winter, so keep those alarms in use! 2. Clean those gutters! Imagine water damage seeping in from a clogged gutter. You don’t want to have to lose money on repairs before closing. 3.Check for cracks or leaks! A simple walk around your property to detect a draft by a window could allow for a simple fix now, not a full window replacement later! 4. Check your furnace! A few small things to do for big results is to change the filter, clean out air ducts and check the fan belt. 5. Reverse your ceiling fan! Did you know reversing the motion of the fan circulates heat downward? 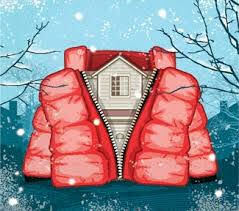 Selling your home or moving into a home in the winter doesn’t need to be a burden. These few tips could save thousands! This entry was posted on Wednesday, December 28th, 2016 at 12:02 am and is filed under Blog. You can follow any responses to this entry through the RSS 2.0 feed. Both comments and pings are currently closed.